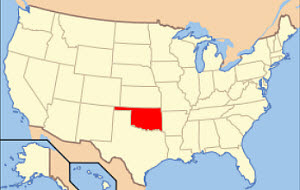 Oklahoma is one of three states which bans non-competition agreements, the other being California and North Dakota. However, Oklahoma law allows for the limited enforcement of non-solicitation covenants. The Supreme Court of Oklahoma in Howard v. Nitro-Lift Technologies recently clarified this standard, holding that a non-solicitation covenant may only restrict an employee's solicitation of "established" customers. This means that a covenant which bars solicitation of past customers, for instance, is overbroad. Interestingly, the Court also disapproved of a covenant which left undefined the term "customer," stating that it "might stretch to encompass temporary or single-event relationships." A market-based non-compete will never be enforced against an employee. Employers in Oklahoma are on clear notice of what their covenants should look like. The state legislature and courts have clearly confined the restrictions to a narrow class of activity restraints. Based on the recent Howard decision, employers also should clarify their definition of "customers" so that it does not reach beyond "established customers" as required by Oklahoma law. While this may be unsatisfying for some employers, at least everyone knows the extent of what courts will enforce. The same cannot be said in virtually every other state.